OTTAWA – Today, Democracy Watch released the lawyer’s letter it sent on Tuesday to Ontario’s Chief Electoral Officer Greg Essensa demanding that he confirm that Elections Ontario will inform voters about their legal right to decline their ballot (in other words, to vote “none of the above”) in the likely more than $4.5 million it will spend on advertising and communications with voters leading up to Ontario’s provincial election day on June 7th. Democracy Watch is represented by Andrew Spurgeon and Wade Poziomka of Ross McBride LLP, who sent the letter to CEO Essensa yesterday. The letter gives CEO Essensa 10 days to respond and commit to include the information in ads and voter education communications or Democracy Watch will apply for a court order. Democracy Watch hopes Elections Ontario will make the commitment and avoid a court case. On Wednesday, Elections Ontario sent a letter saying it will respond formally to Democracy Watch’s request within 10 days. Ontario voters have the legal right under section 53 of Ontario’s Election Act to decline their ballot (i.e. vote “none of the above”) and have it counted separately from a vote for a candidate or a spoiled ballot. This right has existed in the law since 1975. However, Elections Ontario has consistently failed to inform voters that they have this right in its communications to educate voters undertaken under subsection 114.1(2) and section 114.2 of the Election Act. On January 8th, Democracy Watch sent a similar letter to CEO Essensa, and Elections Ontario immediately changed three pages of its website by adding information about the right to decline your ballot. On January 12, 2018, Kate Ward, Director of Communications and Strategic Services at Elections Ontario, sent a letter to Democracy Watch pointing to the changes to the website. Will all Elections Ontario advertisements before and during the upcoming election campaign period that are about voter rights contain information about the right to decline your ballot? Will Election Ontario’s voter registration cards and any other materials Elections Ontario sends to Ontario voters in the lead up to the provincial election mention the right to decline your ballot? Will all of Elections Ontario’s online and print educational materials for teachers, youth, and new voters be changed to include information, in all sections concerning voting, that voters have the right to decline their ballot? Elections Ontario did not respond to Democracy Watch’s January 12th message, forcing Democracy Watch to follow up with the demand letter it sent on Tuesday. Despite Elections Ontario’s $4.5 million in advertising spending in 2011, voter turnout in the 2011 Ontario election was a record low 48.2% of eligible voters, the first time in history that turnout dropped below 50%. And despite Elections Ontario’s more than $4.8 million in ad spending in 2014, turnout in the 2014 election was the second-lowest ever at 51.3%. The 2007 turnout was only slightly better at 52.1%. Elections Ontario currently mentions the right to decline your ballot only the few times on its website that were added on January 8th. In its 2011 and 2014 election advertising, website pages, new voter information package, and voter information card, Elections Ontario failed to mention the right to decline your ballot. Democracy Watch sent a similar letter to Mr. Essensa in 2011 (after it was consulted by Elections Ontario concerning voter education), and again in 2014. 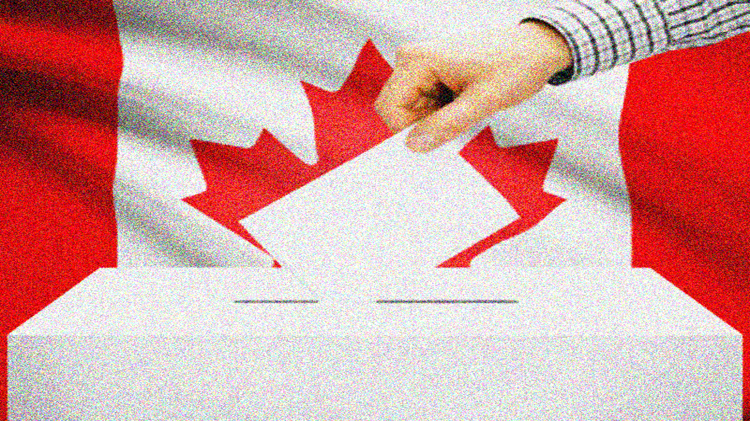 Democracy Watch has long called on the federal government, and every provincial and territorial government, to change their election laws (including the law for municipal elections in each jurisdiction) and add the right to vote “none of the above” and to give a reason to election and by-election ballots.